Hi there, my name is Jessica and I write over at Mo’ Money Mo’ Houses, the personal finance and lifestyle blog with a dash of sass. Feel free to follow me on Twitter, Facebook, or Pinterest. After 6 years together, my boyfriend (now husband) and I got married on a beautiful day this past May. It was a rather traditional affair, being a Catholic ceremony and all, but the one custom we did not include was accepting wedding gifts from our guests. To challenge tradition even further, in lieu of gifts we asked for cash, gift cards, or cards only. I know, many of you may think this is taboo or just downright rude to do, but to us it was the only thing that made sense. Our first reason for doing this was that we had lived together for a little over a year and thus had already set up a home for ourselves. We had everything we could possibly need (and fit) into our tiny apartment, so getting more stuff would have just been an inconvenience if anything. Our second reason for doing this was that we had made plans to move across the country almost immediately after the wedding. We planned on taking only as much stuff as we could fit into my husband’s hatchback Hyundai, meaning there would be little room for anything besides our computers and clothes. That being said, getting around to telling all of our wedding guests that we weren’t going to be accepting gifts was a tad awkward. People generally love to pick out gifts for the wedding couple (hell, I love doing it when I’m a guest! ), so telling everyone that all we wanted was money or a nice card wasn’t exactly easy. Thankfully, in the end we didn’t get any complaints, and we made sure to tell every one of our guests how we intended on using their monetary contribution. Without the money and gift cards we received from our guests we probably couldn’t have afforded our honeymoon to California, our road trip from Vancouver to Toronto, and any new appliances and furniture for our new home. So if any of you out there are considering whether to accept gifts for your wedding or not, I say first weigh the pros and cons, then do whatever you think is right for you and your future spouse, not what others expect of you. 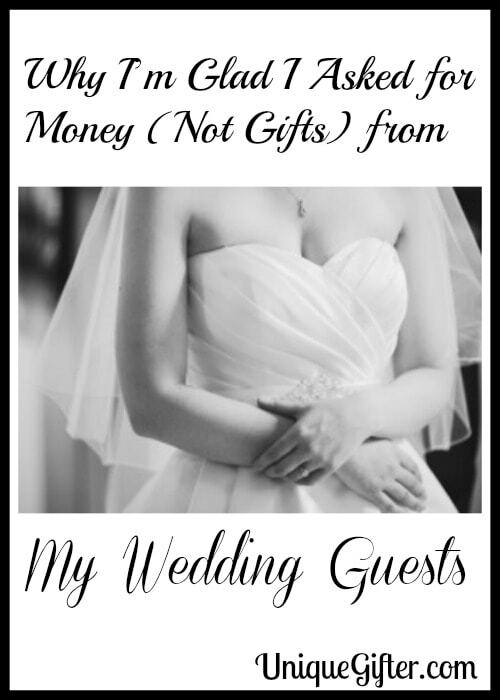 Did you ask for only cash gifts at your wedding? 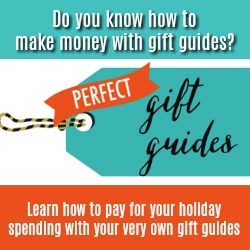 Do you want some ideas on how to give a creative cash gift? Read our list here! I did not ask for cash only, and I didn't mind getting gifts because we actually needed quite a few of the things they bought us! Yes, we did get more than we need (and some is still in the box) but overall I think it was a good choice to accept gifts and cash. What kind of treasures do you still have hiding in boxes? My brother has a gigantic pile of stuff at his in-laws, because they were in a one bed apartment halfway across the country. They can't wait to be able to use all of their new stuff, it will be like Christmas on 'roids! We don't need any gifts as we have lived together for over 6 years. I'm afraid of getting 1,000 plates still! try http://www.mybridalbank.com . 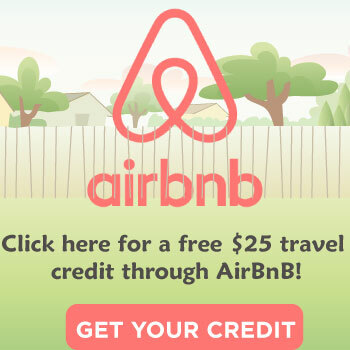 Its a great site that allows your guests to desposit cash in to your account and you can withdrawl it at anytime. Free to the bride and groom! This is a good idea, I've never thought of it like that. While I'm probably a few years away from getting married, my boyfriend and I are already living together and don't really have much room for more. I can't think of much else we'd need either. A lot of people in my family give cash on top of gifts, and it can be expensive for them, so maybe they would be okay with it. I just hope they wouldn't feel pressured to contribute more cash. Yes, it's such a tricky thing to swing politically, but it makes so much sense for a lot of people. I've had friends ask for cash, but mostly when it's really easy to make a case. Cases have included "we're going back to school for 3 more years" and "we're moving overseas." We went for high value, long lasting, small size things. Specifically, sterling silverware and china. 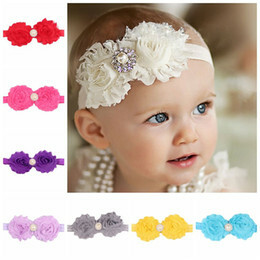 My recent post Guest Posting Over at Unique Gifter Today! I would LOVE it if that's what the bride and groom always said because I hate picking out gifts. It seems it's either too cheap or just over my budget or someone has already purchased it. I could imagine it being awkward to ask though, but glad it worked out for you! You had great reasons not to get gifts. But it's so fun to pick out gifts! Okay, I realize that might not be everyone. We also asked for money at out wedding – the reason for this was because we already had most of the items we needed (except cash). Like fools my wife and I built a house and got married at the same time. So we were seriously poor for a few years while we worked away at our mortgage debt and our wedding expenses. Ouch! I find that many people are in the same situation these days, buying a house and getting married, so cash is really the easiest and best for them to accept. Our friends did it in a really cute way. Since they had met in Taiwan, they incorporated the red envelope tradition to their wedding. Basically the invitations go out with a little red envelope in them. In lieu of a present, you bring your red envelope to the wedding (stuffed with some money) and the red is supposed to bring good luck. Interesting! I'm still on the fence but I like this idea. A lot. Would it be weird if I had a short registry and then asked for cash if the registry was already filled?? LOL. I want a few kitchen things but I want to use the cash for the honeymoon or paying down student loans or towards my future mortgage. A small registry is a fairly common way to indirectly ask for cash, actually! I would much prefer cash over some dumb toaster that I don't need. I am thinking of doing that if I ever have a proper wedding ceremony with lots of people. It just seems more practical to me. My recent post Is the Standard of Beauty Set by the Rich? I have a wedding coming up in February and I really wish I had the courage to do this… maybe I will find it by then. It is much easier to "sell" if you can provide some good rationale, like Jessica, who had her cross-country move. Best of luck!! I'm all about giving cash for weddings. Some things on the registry seem ridiculous and everyone always can use cash. Plus when we're traveling to a wedding I don't want to have to ship gifts or carry them with me in my luggage. This is a great site that allows the guests to deposit money directly into the bride and groom’s account! It is very simple and easy to use. They only deal with monetary gifts, unlike many other sites. They also offer free printable wedding inserts that let your guests know, in a professional way, that you are not registering for traditional household items. After all, your guests really do just want to give you a gift that you NEED and WANT! I give cash at weddings. They can use it for what they want. I'd prefer to receive cash too. That is a fantastic way to go about it. Giving cash is great. Asking for cash gift is not a bad idea at all. 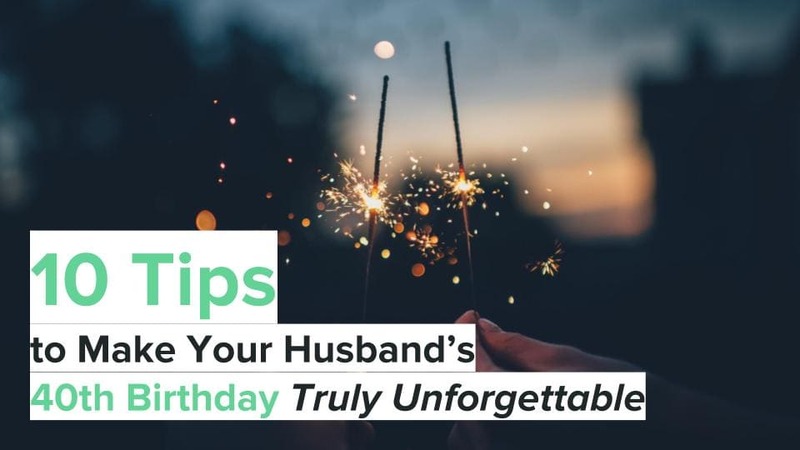 Instead of piling up gift items that are not useful to you, cash would help you bear your upcoming honeymoon expenditure or buy useful items you’ll need in the future. However, personalized gifts have their own charm. Thanks for the post that’s worth reading!